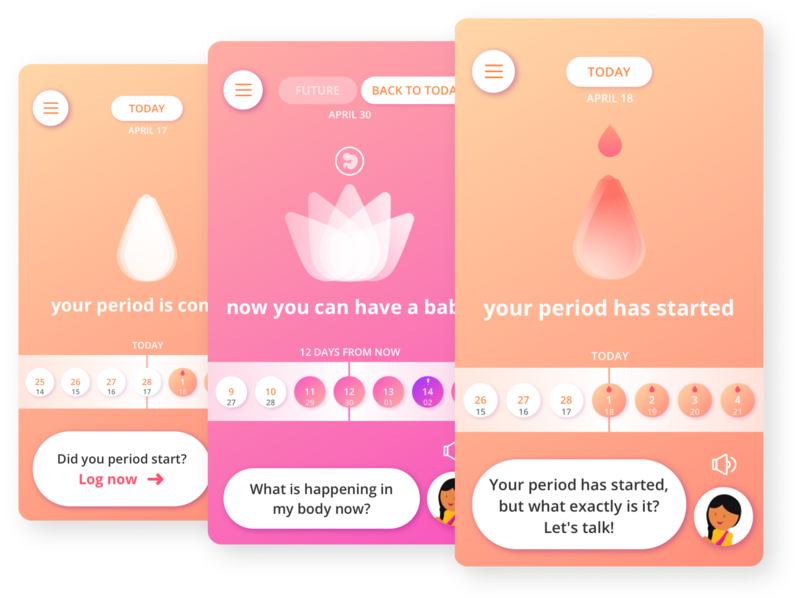 Alongside the animated explanatory videos, Meri Body’s users will engage with the app on a daily basis through the menstrual cycle tracker and other tools that allow for a powerful personal experience. 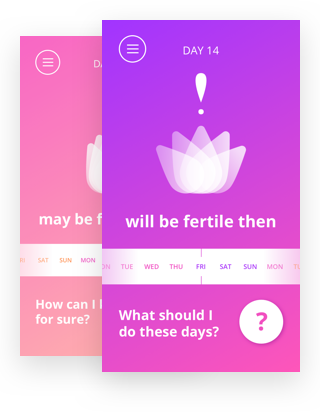 Education within the app focuses on topics like body science, periods, contraception, fertility, family planning, sexuality and reproduction. 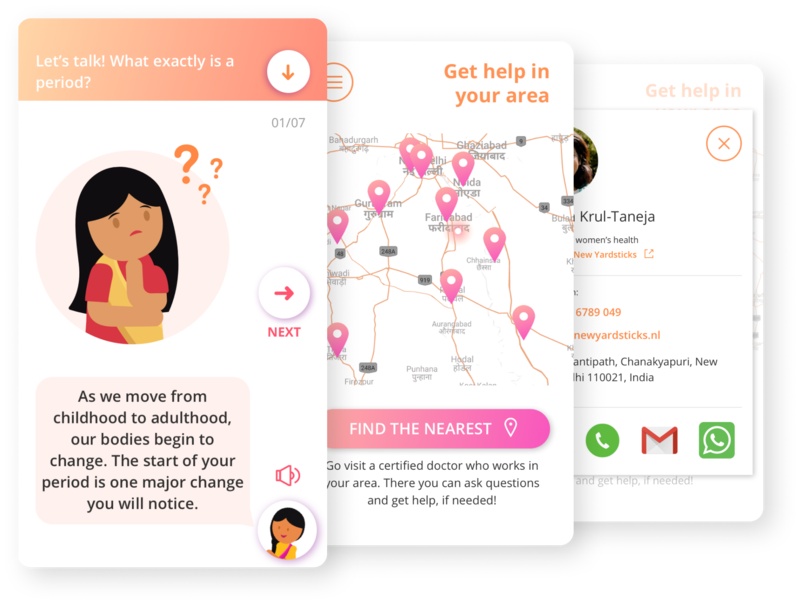 Meri Body will partner with India’s extensive network of social enterprises – especially those involved in women’s health. These trusted parties will become advocates for Meri Body. 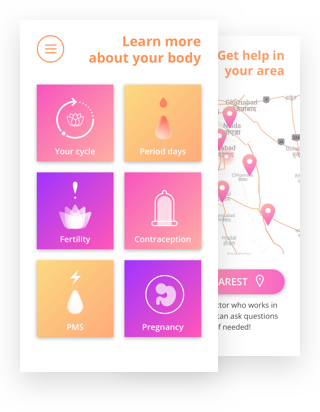 This feature will also be an essential part of the app’s offerings in easily connecting young women to the services of certified doctors and healthcare practitioners who can answer questions and give help when needed. Peer support is crucial to Meri Body’s success. Localised centres will be used to spread knowledge of the app and grow communities of empowered and educated women. These communities will provide a safe space to enhance understanding of the topics addressed by Meri Body, thereby lowering the threshold of ignorance and fear that remains pervasive in so many communities. In this way, Meri Body will play an important role in the lives of the modern generation of young women who increasingly want to be in charge of their own lives and take their own decisions. If you would like to become part of the Meri Body to empower and educate Indian women on body literacy we would like to connect with you.